Finally, you can go ahead and open all those figures now. Mario Tennis: Ultra Smash is the latest addition to the classic Mario Tennis series, and it's headed for release on Wii U for up to four players and online play. It's going to feature some pretty heated battles between Mario series favorites if the trailer is to be believed. It's available this holiday season and will feature several different characters and courts with special villain modes and amiibo support. You can bring special figures into the game ot play as, and your amiibo figure will act as a double in most cases. As your figure plays with you, you'll level it up and unlock certain powers. 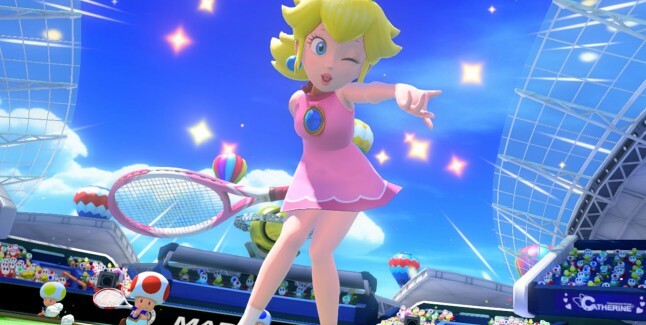 So it looks like there's a lot more to this Mario Tennis outing than the rest. It hits November 20th, if you're curious.